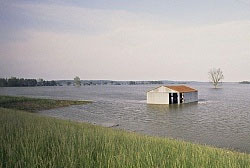 Beginning January 1, 2011, a new insurance rating option from FEMA`s National Flood Insurance Program (NFIP) allows many property owners who previously didn't qualify, to take advantage of the low-cost insurance for two years before they are required to pay standard rates. NAPS (North American Precis Syndicate) provides information about the options for low-cost insurance from FEMA's National Flood Insurance Program (NFIP) that went into effect 1/1/11. 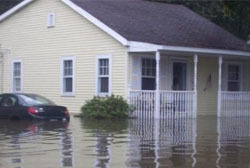 This new option represents an important way to save on flood insurance for those who are newly required to carry it. After two years at the reduced PRP rates, policies will increase to standard rates. To learn more visit the FEMA website or call (800) 427-4661.